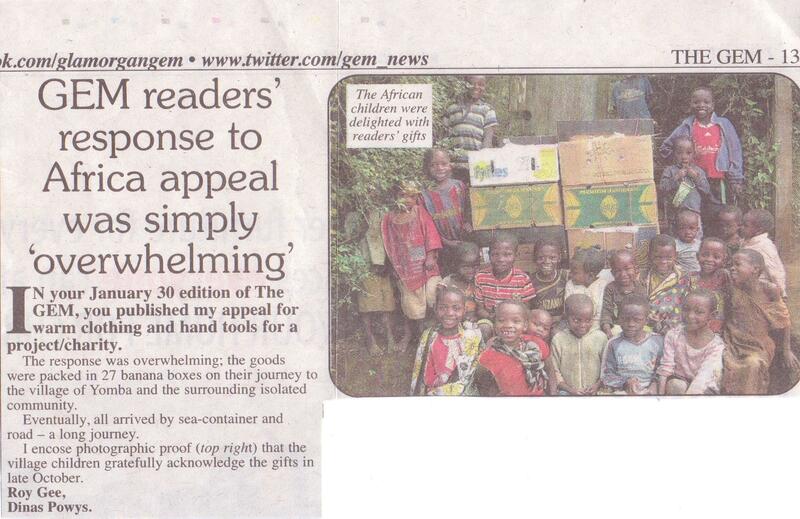 Nov 2014 – The Gem – Roy Gee – clothing and hand tools. 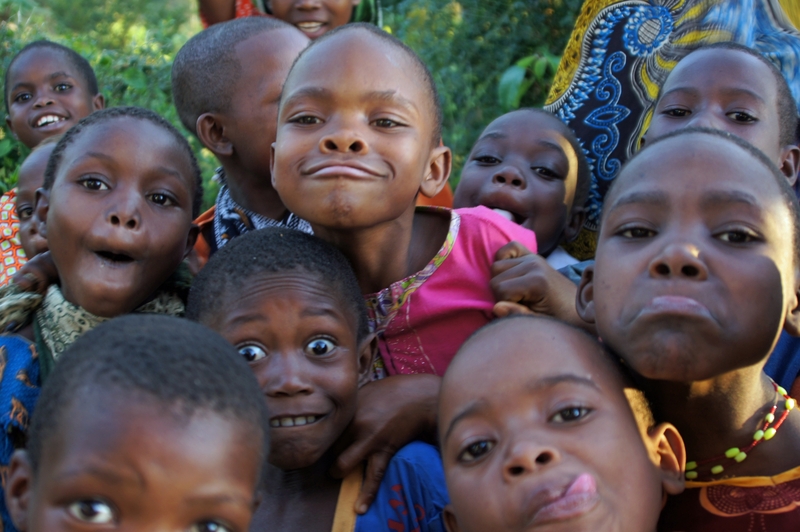 Dec 2012 – Lonely Planet Traveller Magazine Germany publishes photo of Yamba children taken by volunteer Bettina Blass. 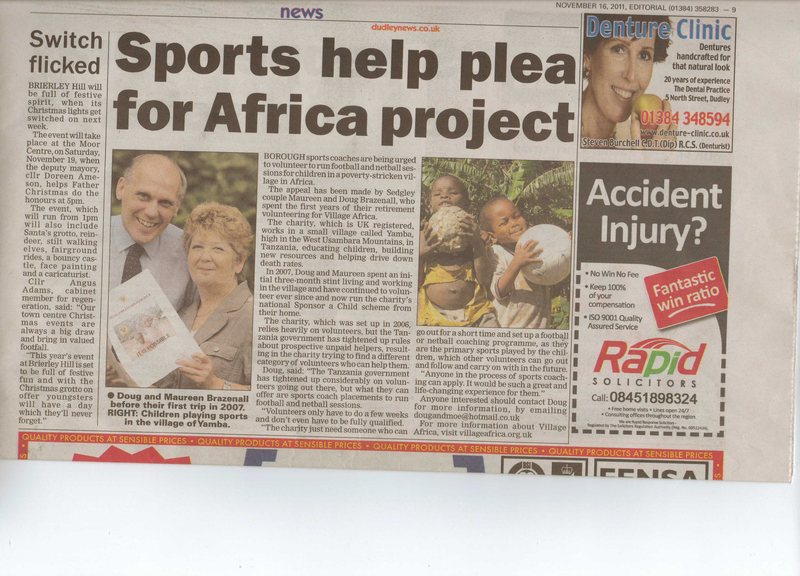 June 2010 – BBC Radio Nottingham, Linda O’Sullivan taking part in Great Nottingham Bike Ride. 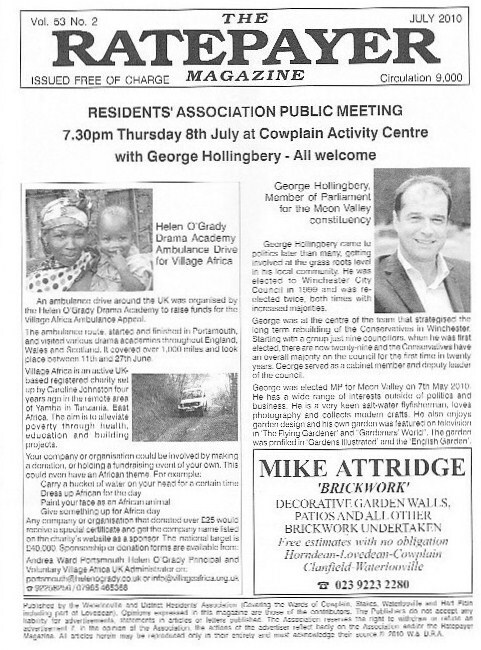 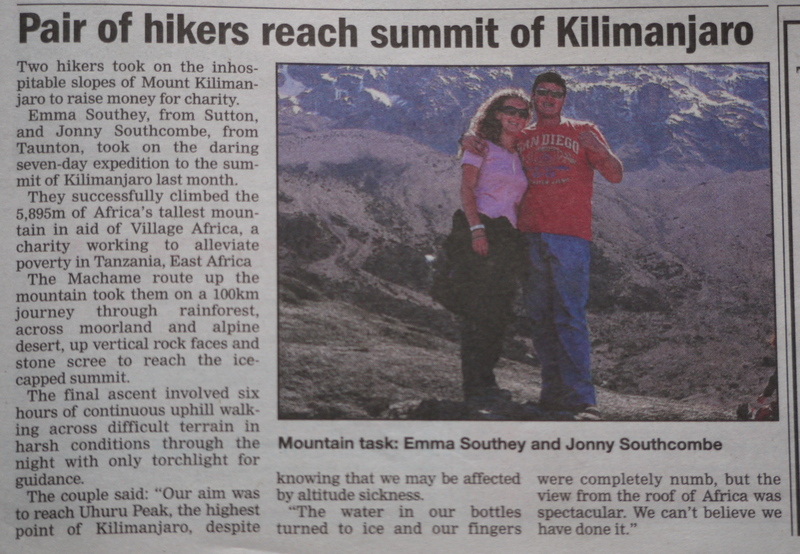 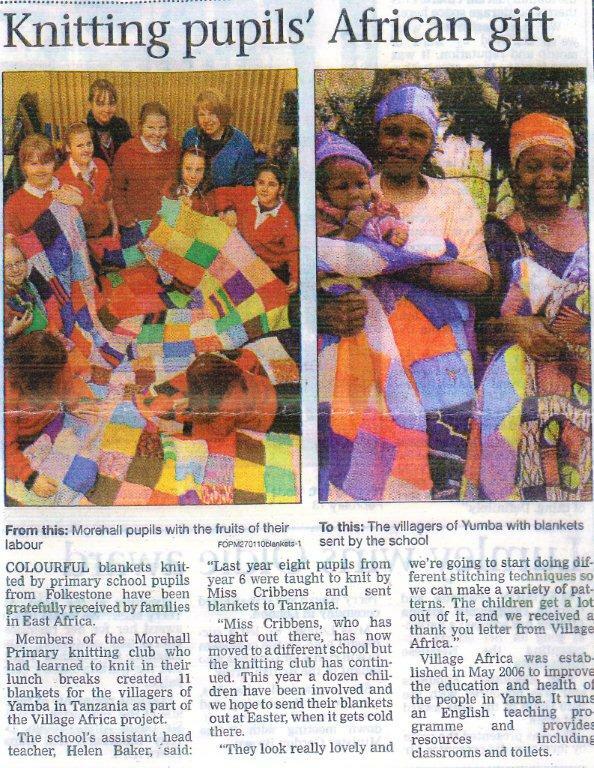 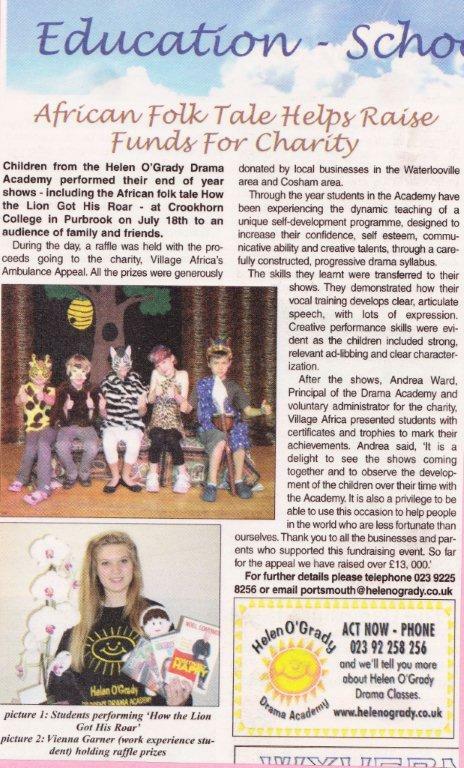 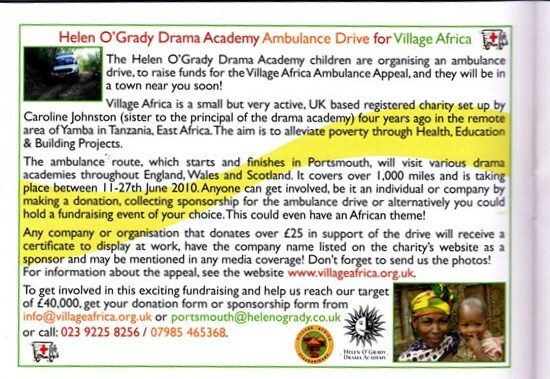 February 2009 – Sunday Times Travel Supplement – details of Village Africa Summer Camp 2009. 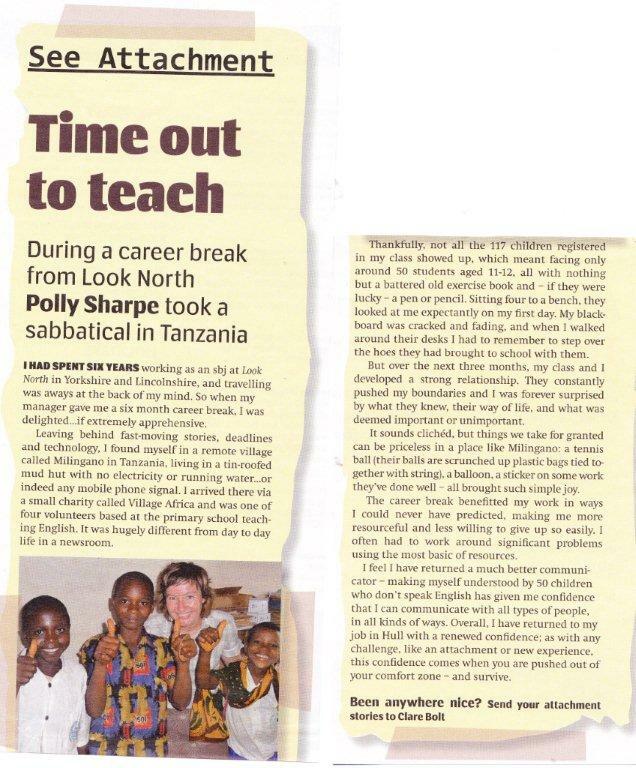 August 2008 – Take a Break magazine features Tina Freeman.